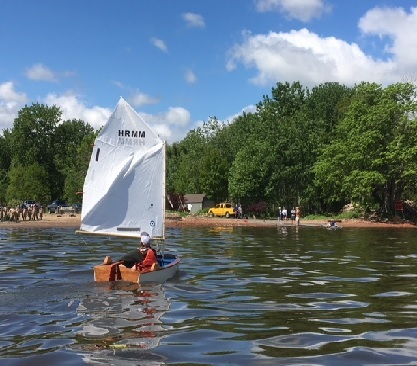 Join us for this exciting week-long sailing program where students aged 9-18 learn the basics of sailing on 8' Optimist Prams, 19' Lightning class sailing dinghies, and other sailboats. Each day will feature short "chalk talks," and brief learning activities on land and lots of on-the water instruction with games, drills, and informal races on the Rondout Creek and the Hudson River. The goal at the end of each week is for all students to feel comfortable sailing on the water and to become capable, safe basic sailors. Because each week will consist of mixed ages and experience levels, our U.S. Sailing certified instructors will adapt the program to match the needs of the students. A minimum of fourteen students is required for each sailing program week. If a week lacks the minimum number of registrants by June 1, it will be cancelled, participants will be contacted, and they will be offered the opportunity to move their registration to another week. The Youth Sailing Program will meet from 9am to 4 p.m., Monday to Friday, for six weeks, beginning July 8 and ending August 16. Students may register for one or multiple weeks, and weeks do not need to be consecutive. *Full payment at time of registration, at least two weeks before start of program is required. Please login to receive your member discounts. Need help logging in? Contact Ellie Burhans at eburhans@hrmm.org. Please note that you must be a current member the date of the event to receive your discount. Graduates of the 2018 Youth Sailing Program who are 16-18 years of age may apply to become junior instructors and register for this program at a discounted rate. Please contact Jody Sterling at jsterling@hrmm.org for more information. Cancellation Policy: Full refunds will be offered for cancellations that occur 30 days or more before a program's registration deadline (if no deadline, the first day of the program). Cancellations between 30 and 7 days will be offered a 50% refund or credit toward another class. Cancellations after the registration deadline or within 7 days of the first day of class (whichever comes first) will not be refunded. Weather Policy: Our youth program runs every day, regardless of the weather. We sail in light rain and a variety of wind conditions. If weather is dangerous, we will stay ashore and have chalk talks, drills, learning games, etc.